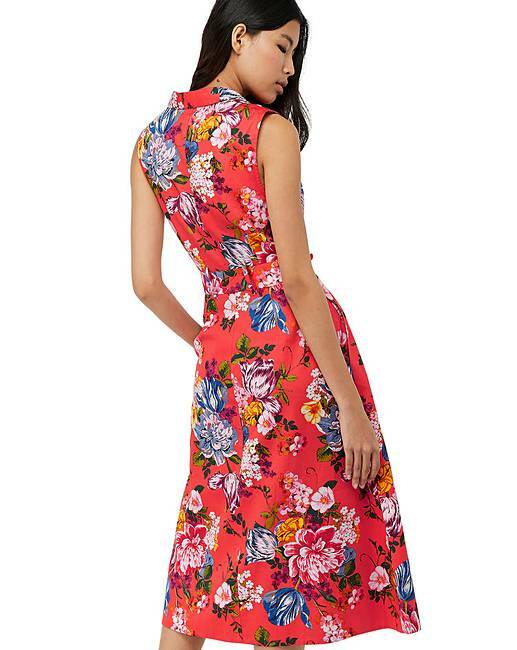 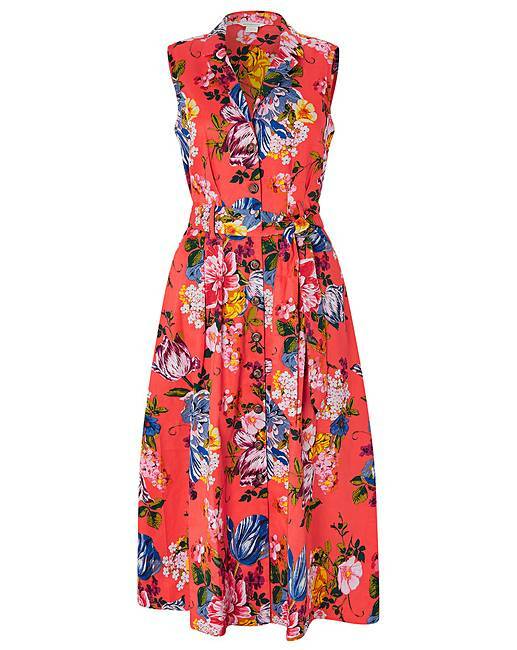 Inject the season�s favourite coral shade into your warm-weather edit with our Sinead midi dress. 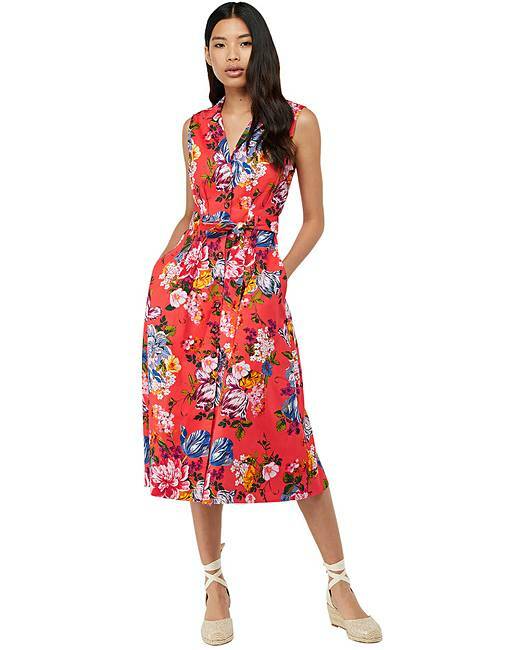 Made from pure cotton, this floral design is pleated and belted for a feminine silhouette. 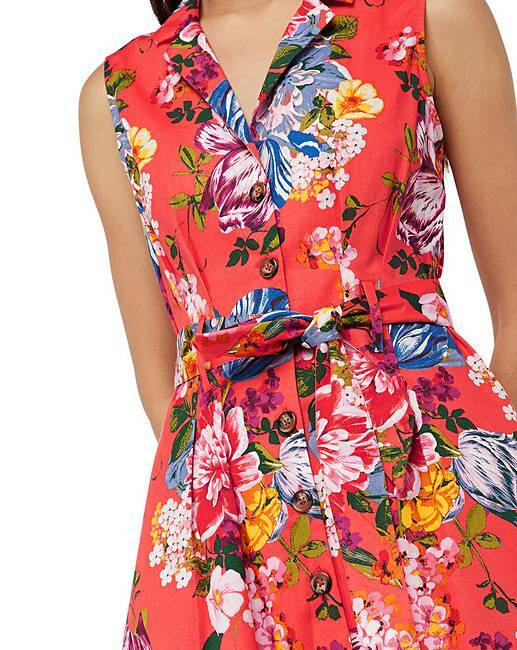 Its neckline forms an open shirt collar with lapels and it fastens with buttons.